We operate high-achieving public schools in educationally underserved communities, developing in our students the knowledge, skills, and character essential to thrive in college, shape their futures, and positively impact the world. OUR SCHOOLS KIPP launched in the Bay Area in 2002. We now educate almost 6,000 students across the region and plan to nearly double our impact over the coming years. We are a thriving TK-12th grade public school community, operating 15 schools in six cities and educating nearly 6,000 students. Our students and their families live across the Bay Area and speak over 25 langauges at home. We’re proud that our school communities reflect the rich history and diversity of our region. The Smarter Balanced Assessment Consortium (SBAC) is the statewide evaluation designed to measure proficiency in national academic standards, known as the Common Core. It is one measure that contributes to a holistic view of student and school progress. We strive to provide learning environments that are inclusive and community-focused, where every person is known and supported, respected for their unique strengths, and empowered as learners and leaders. Decades of research supports what we know from our own experience!—!positive school culture has a direct impact on a student’s academic success and overall well-being. We are committed to fully integrating the evidence-based practices of social emotional learning, restorative practices, and trauma-informed care into all of our schools. Our schools provide tiered levels of mental health support that take into account a child’s identity, culture, and life experiences. Counselors also work with families for a collaborative approach to our students’ socioemotional development. One aspect of incorporating restorative practices into our schools involves encouraging students to discuss, process, and solve their concerns or problems with both peers and adults. Restorative practices allow for shared accountability, skill building, cooperation, mutual understanding, and respect. Positive school culture is critical in reducing suspensions, expulsions, and disciplinary referrals, as well as maintaining strong student retention. Of students who don’t return, nearly half relocate or face transportation issues. We know that high school graduation is the first milestone toward realizing a choice-filled life. KIPP is unique in that we support our students to and through college. 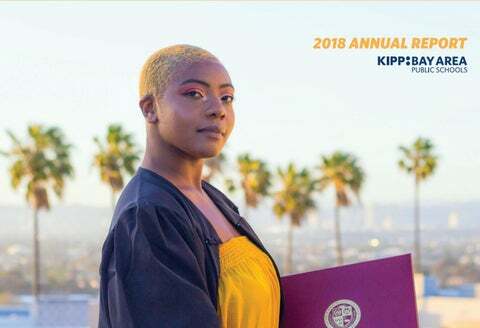 The KIPP Through College team provides structured support focused on college readiness, persistence, and completion until the day alumni receive their college degrees. Through one-to-one advising, our students receive financial literacy, socioemotional and career-readiness support, as well as college and career programming at KIPP high schools and access to a robust alumni internship program. We know weâ&#x20AC;&#x2122;re on the right track, because our alumni are graduating college at four times the rate of their peers. The KIPP Through College model is funded solely through philanthropy; our success would not be possible without your support. We know quality teachers are the single most influential factor in student outcomes. Not only do we believe KIPPsters deserve great teachers and leaders, but research shows students benefit from seeing themselves reflected in their educators. We recognize the need to cultivate a talented pool of teachers from underrepresented groups, which is what motivated the launch of our Teacher Residency program in the 2017–18 school year. This initiative recruits, trains, and supports new teachers by matching them with an established mentor teacher in a one-year program that includes a combination of coursework and applied classroom practice in our schools. Residents earn a teaching credential and master’s degree. Six residents from the initial cohort are now full-time classroom teachers; we have 15 residents in the 2018-19 school year, four of whom are KIPP alumni. 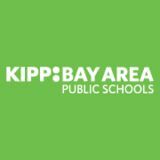 KIPP Bay Area Public Schools is pleased to honor our campaign supporters who have been instrumental in driving our growth since 2011. Thank you to our annual donors who make our work possible every day.